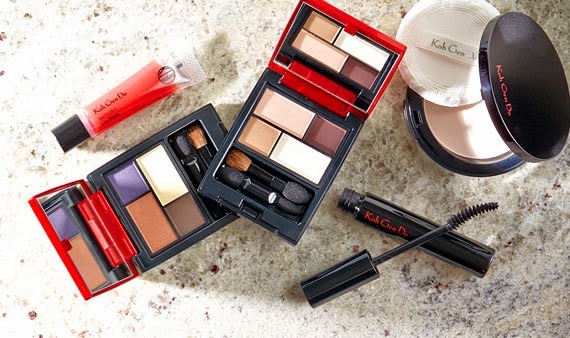 lola's secret beauty blog: Deal Alert: Koh Gen Do Sale on HauteLook Beginning 4/1/14 at 8:00AM PST! Deal Alert: Koh Gen Do Sale on HauteLook Beginning 4/1/14 at 8:00AM PST! HauteLook is featuring another Koh Gen Do beauty event beginning today! If you need to stock up on favorites it is wise to shop early because things sell out quickly since they often discount up to 50% off! I shopped a bit late last time and some of my top picks were already sold out. (Unaffiliated Link). missed out on foundation; would have nice for summer :( some of the lipstick colors look pretty. have you tried them before? So sorry for the slow response-- I got home from work late last night and was too tired to check the computer. The Koh Gen Do products that I own and use regularly are their foundations the Aqua Foundations (Original formula that they are selling on HauteLook) and their Maifanshi Foundation. I also have both of their eyeshadow palettes and love them (though I still haven't gotten around to reviewing them), and their SPA Water (both liquid and wipes). I am very happy with what I have. I have lots of samples of their skincare products, but haven't really used them very much yet.